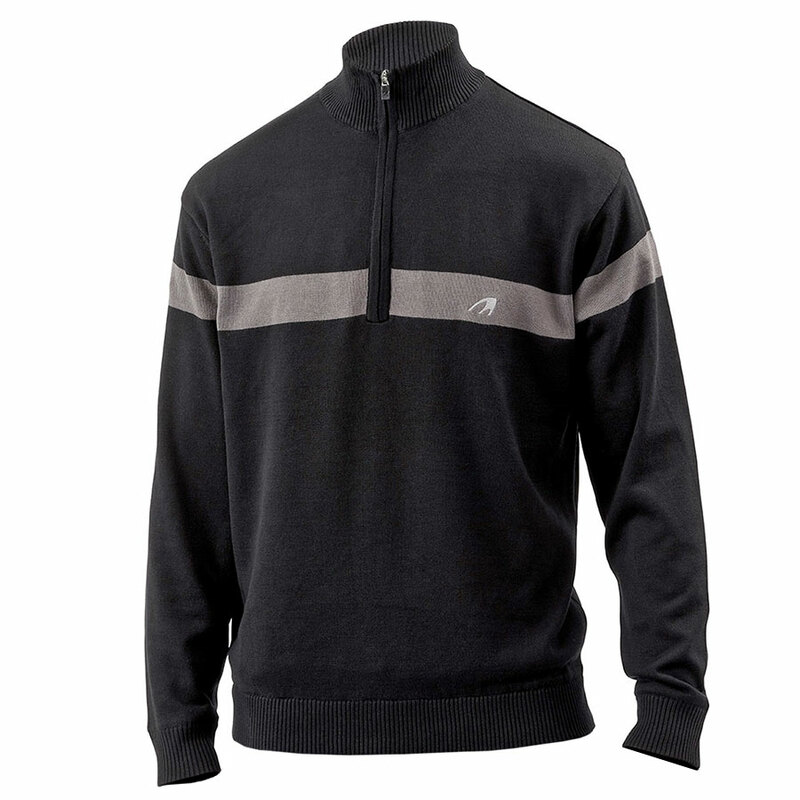 This performance enhanced sweater has a warm and soft feel to keep you comfortable as you play golf. Constructed with warm fabrics and a mechanical stretch to give you the freedom to move during the athletic movements associated with the golf swing. 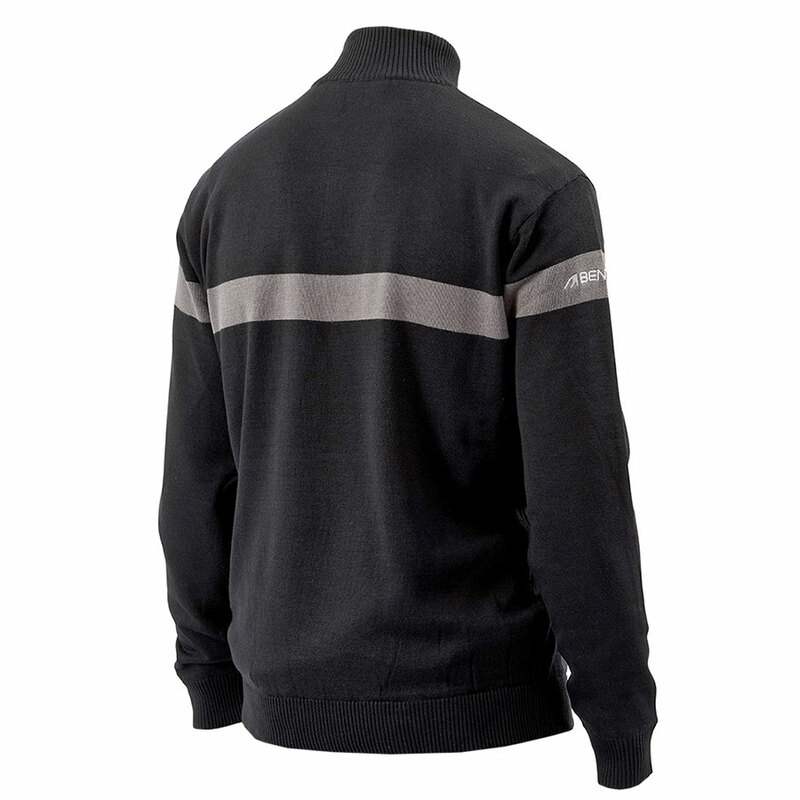 Classically styled with a ribbed collar an hem, plus a half-zip opening for adjustable cooling when necessary.